Our warm roof conservatory systems are an excellent way to transform your existing conservatory into a space that you can use year-round, not just when the weather permits. 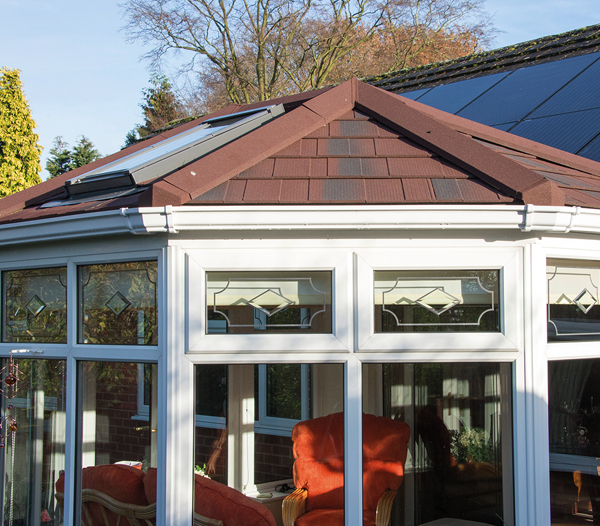 Our solid conservatory roof systems are extremely well insulated, this means that the roof, the largest surface area of your conservatory, is protected from heat escaping during the winter, and heat from solar radiation entering during the summer. The result is a relaxing space that can be used comfortably in any season. 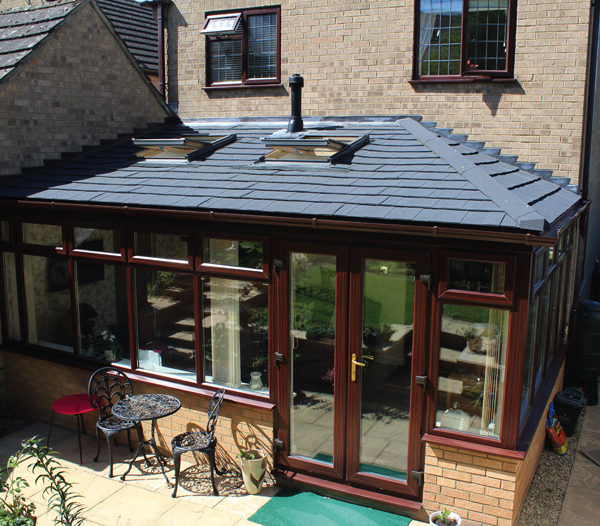 Our Tiled Conservatory Roofs Are the Safest on The Market. 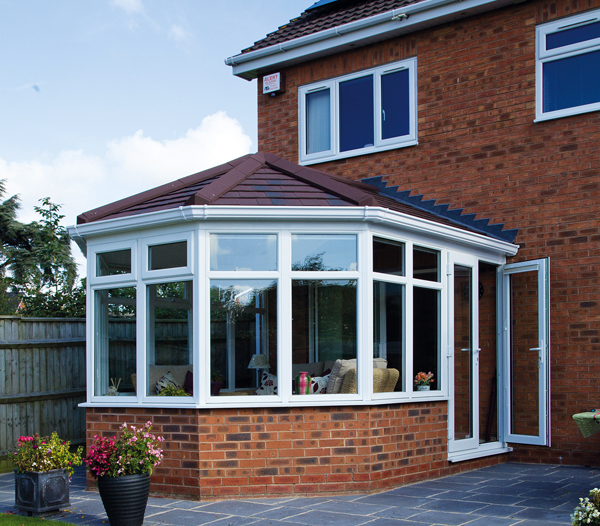 Our warm roof conservatory systems are LABC registered and use self a contained aluminium frame, which is mounted to the top of your conservatory once your original conservatory roof is carefully removed. 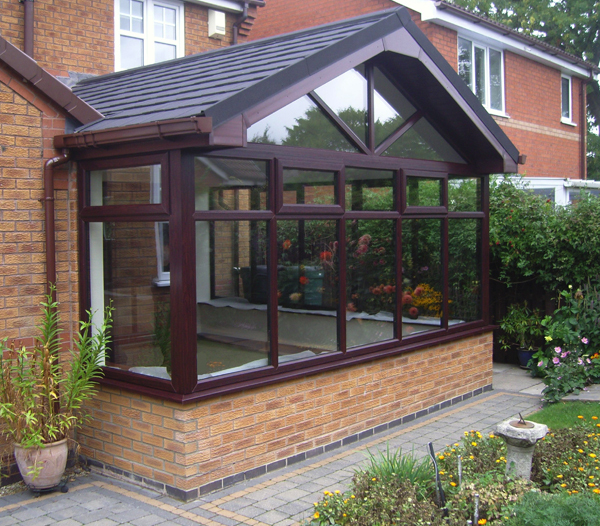 Unlike other options that are available from other companies, our system applies no outward force on the frame of your conservatory, only downward load, and due to the aluminium and composite materials used in our warm roof systems, they are often lighter than the original roof. 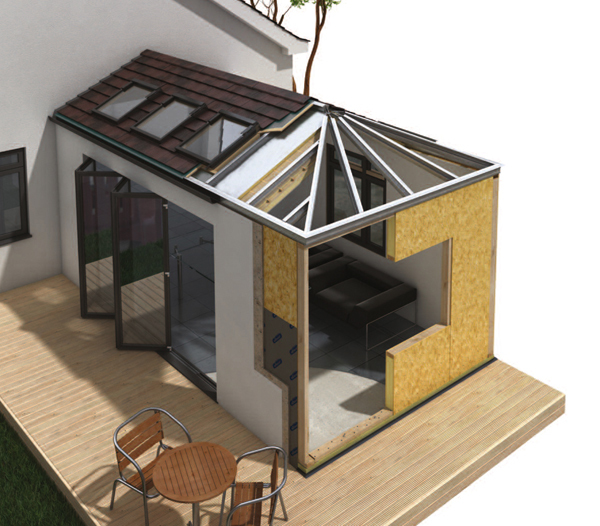 Methods used by other companies which involve wooden frames or over skinning the existing roof add a remarkable amount of additional outward load the the existing conservatory frame. Much of this additional load being exerted outwards. The result of these cheaper non LABC registered systems is an increased risk of collapse and irreparable damage to your conservatory due to the additional weight and uneven force exertion on the external frame of your conservatory. 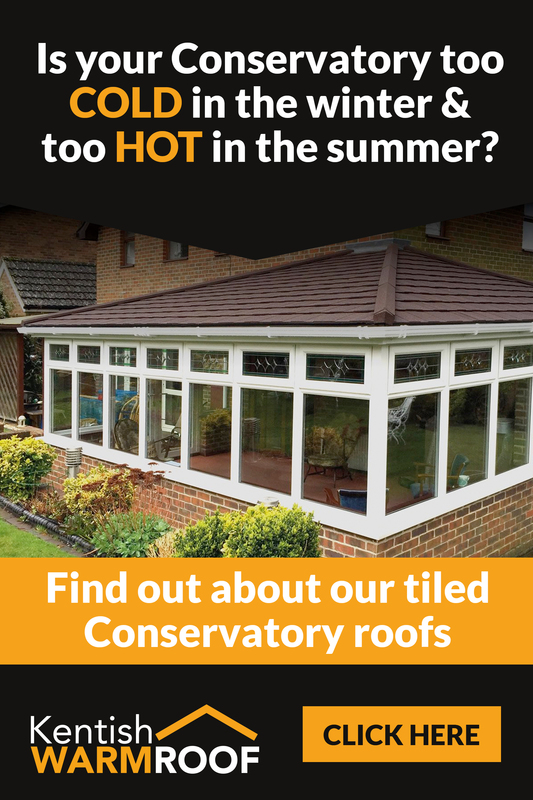 What Will Your Tiled Conservatory Roof Look Like? Our warm roof systems look amazing. With a huge range of options including; Velux roof openings, internal and external downlighting, a huge choice of tile colours and materials, our warm roofs are extremely customisable and aesthetically pleasing. Our frames are made bespoke to your exact specifications, accurate measurements will be made by our fully qualified surveyors prior to designing your new conservatory roof. Our solid conservatory roof systems can be made to fit any conservatory configuration, no matter the size shape of style. Once your roof has been installed and our qualified electricians have completed their work, our skilled plasterers will get to work on creating the perfect plastered finish for your roof, ready for our skilled decorators to arrive and paint in your desired colour. The result being a new room that has a stunning beautifully shaped roof, with plenty of light that you can use any day of the year. We have a specialist website dedicated to our warm roof systems called Kentish Warm Roof. 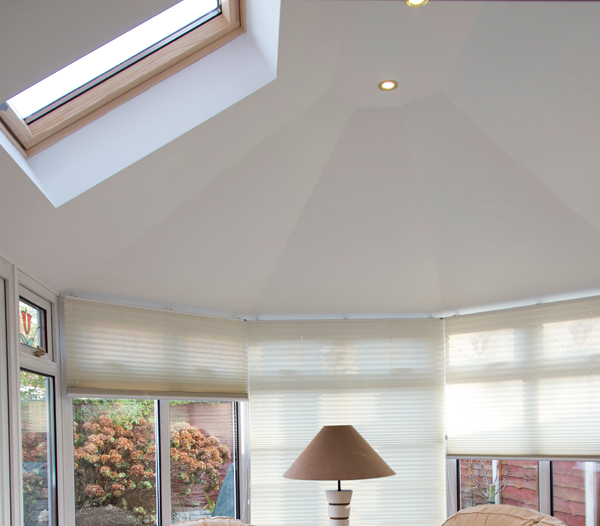 Kentish warm roof is a subsidiary of Window Fix Direct dedicated to providing the highest quality services. You can also contact us on 01634 789025 of use the simple contact form at the bottom of this page and a helpful member of staff will be able to assist you further and answer any questions you may have.